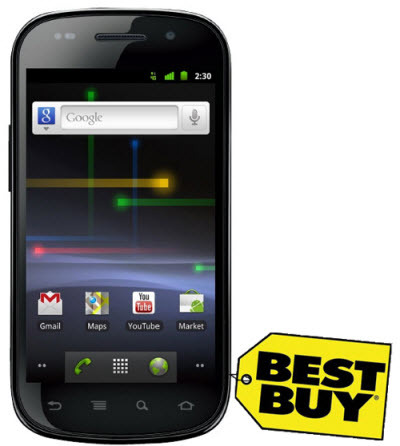 Sprint recently announced the new variant of the highly popular Google Nexus S. The Google Nexus S 4G is the first smartphone to feature the latest Android (2.3) Gingerbread OS and 4G connectivity. This handset is exclusively available on the airwaves of Sprint in the US. The Nexus S 4G comes with a 4 inch WVGA SUPER AMOLED display, 1 GHz processor, 5 megapixel camera, 4G Connectivity and so on. This handset is currently up for pre-order at Best Buy. If you are planning to buy this smartphone, then don’t forget to check out the complete specs below. NFC Capability, Android Market, A-GPS and a 1500 mAh battery. Sprint Nexus S 4G measures 124 mm x 63 mm x 11.2 mm and weighs just 131 grams. This handset will be available exclusively at the Best Buy and Best Buy Mobile stores. The Nexus S 4G can be purchased for $199.99 with a 2 years service agreement. You can pre-order the device, just by paying $50 as deposit. This handset will be shipped during the Spring.